For those looking to make excellent espressos, lattes and cappuccinos at home, without the hassle of a manual machine, Nespresso’s top-of-the-line Lattissima Pro is the way to go. I’ve been a Nespresso user for years and have used various models including the original Lattissima, the Pixie and the CitiZ. I’ve been reviewing the Lattissima Pro (manufactured by DeLonghi) for the last few months, and it is by far my favorite for its combination of design, features and performance. If you’re not already familiar with Nespresso, it’s a pod-based system that uses hermetically sealed coffee pods to brew your espresso. The advantages of the pods over grinding beans are that the coffee is always fresh, there is no measuring or grinding required, and cleanup is simply a matter of emptying the pod container when it fills up. Pods typically cost around $.70 each, and are available in a variety of roasts and both caffeinated and decaf. Nespresso’s strength has always been its espresso (though it recently launched its coffee-focused Virtuo line), as opposed to its competitors Keurig and Tassimo whose focus has been on coffee. All models of original Nespresso machines (excluding the Virtuo line) use the same pods and work pretty much identically as far as making espresso. Differences are mostly design-based. However, the Lattissima models are the only ones that offer integrated milk handling for lattes and cappuccinos; the other models all rely on separate frothers. Having an integrated frother makes pouring a cappuccino as simple as pushing a button, and the milk unit goes straight back in the fridge, requiring only occasional clean out. Within the Lattissima line, there are three models: Lattissima Plus, Lattissima Touch and Lattissima Pro. The Lattissima Pro model I’m reviewing here is the largest of the three, with higher capacity water tank (44 ounces vs 30 ounces on the other two) and milk container (17 ounces vs 11.8 ounces), so you’ll be able to make 50% more drinks before refilling. The Lattissima Touch and Lattissima Pro also offer a super-fast 25-second heat up time, while the Lattissima Plus is a somewhat slower 40 seconds. Beyond its capacity, the Lattissima Pro offers a touch-based display that supports both drink making and various machine settings. All other Nespresso models use a simple push-button method. I’ll get more into the details on that later. Of course, the additional benefits of the Lattissima Pro come at a price. The Pro retails at a rather hefty $599, the Touch at $499 and the Plus at $399. Is it worth the extra $200? I say “yes”, for the conveniences of the larger water and milk capacity, alone. Faster heat-up time over the Plus and the digital interface are just added bonuses. And, Amazon currently has the Lattissima Pro for only $432 through Amazon direct (I would stay away from third-party sellers on this), making the choice of the Pro model a no-brainer. The Lattissima Pro has an elegant, stainless steel industrial design that will work well in any kitchen or on the counter at your office. It looks solidly built because it is solidly built, with a far higher quality look and feel than your typical plasticky Keurig machine. It also offers numerous convenience features over the other Lattissima models. A foldable, metal cup rest, unique to the Pro among the Lattissima models, lets you accommodate glasses up to 5.5 inches tall or small espresso cups. You’re not going to fit a giant America-style coffee travel mug in there, but that’s really not what Nespresso is intended for. There's also an integrated light that helps you see where your cup is placed under the spout without cranking on your kitchen lights (helps when you want to sneak in that late night or early morning espresso shot). The removable milk handling unit slides into place when needed, and right back out again into the fridge when done. Unlike first generation Lattissimas, the lid locks in place to prevent spills. Conveniently, the spout for hot water stores behind a sliding door in the side of the Lattissima Pro; a feature not available on other Lattissima models. Refilling the water reservoir is simple. A pop-up lid on the top of the tank lets you refill the tank without removing it from the machine, or pull the tank off and fill in your sink. The lid is strong enough to serve as a handle to carry the reservoir when full. Size-wise, the Pro is about an inch wider than the other Lattissimas, at 7.6 inches, 13 inches tall and 10.8 inches deep. The Touch is 12.5 inches deep, so the Pro actually takes up less square footage. My Lattissima Pro sits on the counter of my small New York City kitchen without much sacrifice. To save energy, the Lattissima will auto shutoff after nine minutes (adjustable through the control panel). 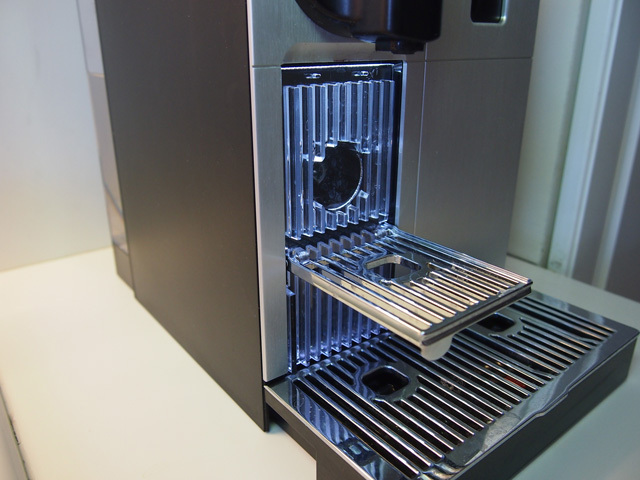 The Lattissima is available in any color combination you want, as long as that combination is stainless and black. The core operation of the Lattissima Pro is the same as the other Lattissima machines; stick a pod in, close the lever, push a button and out comes espresso, lattes and cappuccinos. 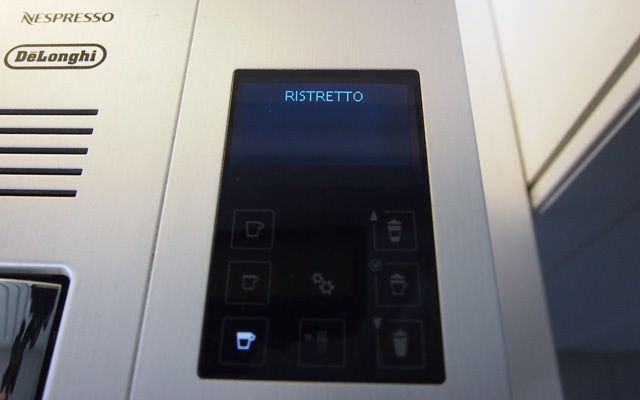 Where the Lattissima Pro differs is in its touch-sensitive control pad, rather than the physical buttons of the Plus and Touch, offering seven drink options – ristretto, espresso, lungo, hot milk, cappuccino, latte and hot water. The control pad also provides textual information about the drink being served, as well as reminders for when it's time to clean the milk unit and descale the machine. While there's no significant advantage to the touch control pad, it makes customizing the settings of the machine easier, so you can make your espresso a little stronger or add a little more milk to your cappuccinos. One potential risk: the touch-sensitive panel makes it a little easier to accidently start the machine going if you touch it inadvertently. Nespresso machines use hermetically sealed capsules containing coffee in a variety of roasts and flavors. Pop the capsule into the machine, close the lever, choose your drink option and a 19-bar pressure pump forces hot water through the coffee capsule and into your waiting cup. Because the pods are self-contained, prep and clean-up is minimal, making Nespresso perfect for a those who are in a rush to get their morning latte or to make a round of cappuccinos for your next dinner party. Currently, Nespresso offers 23 variations of coffee, from medium to very dark roast, caffeinated and decaf, and even seasonal flavored blends (I found their recent Vanilla Cardamom bled made a fantastic Indian-inspired cappuccino). As you taste your way through them (which you can do for free at one of the Nespresso boutiques if you’re buying pods), you’ll find your favorites, any of which can be ordered online through the Nespresso club. The downside to the capsules is their cost. The pods typically run between $.70 and $.75 each so, if you like a double cappuccino in the morning like me, you’ll be putting out $1.40, plus the cost of your milk. That’s more than you would spend if you were buying your own coffee beans (unless you buy very expensive coffee), though it is still considerably less than what you would pay at your local Starbucks and far more convenient. We've used the Lattissima Pro multiple times a day for the last few months and performance over the course of hundreds of espressos, cappuccinos and lattes has been excellent. The Lattissima Pro heats up incredibly quickly (25 seconds for espresso and 40 for cappuccino), so there's practically no wait to get your caffeine kick. And, once hot, the Lattissima Pro will continue to knock out drink after drink with no delay. The quality of drinks is very good. If you're a frequent Starbucks drinker, you'll be very pleased with the results from the Nespresso. Espressos are full-flavored, with nice crema. Cappuccinos and lattes are served with rich foam that is denser than with earlier Lattissima models (foam density and quantity can be adjusted to your liking). And all drinks come out hotter than on earlier Lattissima models, with no preheating of cups required. We typically use skim milk in our machine (works great), though you can use low fat, whole milk (if cardiologist approved), or even soy milk, if desired. For true aficionados, Nespresso doesn't brew with the intense richness the best manual espresso machines or top-end coffee joints can muster. But you're not going to find anything with the convenience or price point of the Lattissima Pro that can compete. The Lattissima requires little effort as far as regular cleaning. All of the coffee is contained in the Nespresso capsules, and the built-in used capsule container can hold 15 of these pods before it needs to be emptied (the Plus and Touch have a 9 capsule capacity). Removing the capsule container requires also sliding out the bottom drip tray, which is a little tricky if you have the milk container in place. To clean the milk carafe after each use, you turn a knob on the top to the "clean" position and hot steam blows out any accumulated milk into a container. Then you just pop the carafe back in the fridge. When the carafe is empty, the components of the carafe can be deconstructed for cleaning in your dishwasher's top rack. Your Lattissima will need to be descaled occasionally. Depending on the hardness of your water, you'll need to descale every 6 months to a year, at most. The Pro will provide a message on the display when descaling is required. It takes about ten minutes to run through the process using the descaling solution available through Nespresso ($8.95 for two descaling packets). The Lattissima Pro comes with a two-year warranty. If you need service, you can either get it done through your local Nespresso boutique or via phone through the Nespresso Club. Nespresso will provide a shipping crate and a loaner machine while your own is in the shop so you don't go into caffeine withdrawal. The Lattissima Pro is, without question, the best Nespresso machine available. 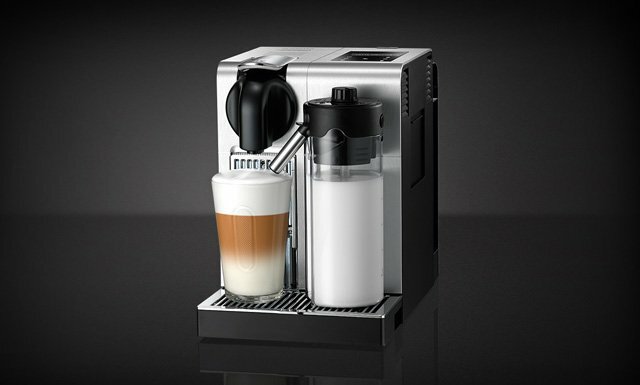 It is very easy to use, makes excellent drinks and offers the best combination of features of any of the Nespresso models. Once you get used to having one around, you’ll wonder how you ever lived without it. 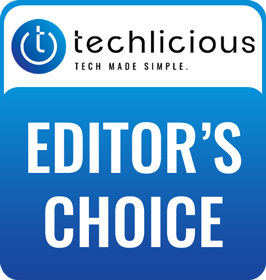 The major downside to the Lattissima Pro over the Plus and Touch models is the cost; at $599 retail, it has a $200 premium over the basic Plus model. That said, I would still recommend it because the additional capacity of the water and milk tanks, taller spout and faster heat up time. And since Amazon is currently selling the Pro for only $430, it makes it the obvious choice. Purchased this machine after your excellent review. Makes a great cup of coffee, appears to be a very well made machine. After 9 days of ownership, I noticed the drip tray filling with water at the end of the milk frothing carafe’s cleaning cycle. Clean warm water was coming from the back of the machine into the drip tray. After 2 cleanings the tray would be full of water. I called Nespresso and received no customer satisfaction. At first they told me it was a normal function of the machine as it was also “cleaning the drip tray”, then they decided it may be a problem and I should send it in for repair. I relayed my misgivings about receiving back a “repaired” 9 day old machine that retails for $600.00. I was told they would not replace it. As a new Nespresso customer I can say I won’t be a repeat customer. We’ve used these machines for years, as have many friends and relatives, with few issues. 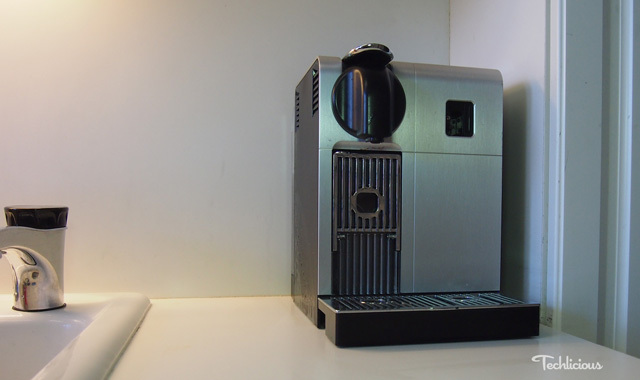 When we did have a problem with one of our machines, Nespresso was very helpful in getting it resolved (they even sent a temporary unit while ours was in the shop). Clearly, the issue with your machine is a problem (there is no “cleaning the drip tray”). Where did you buy it? You still may be able to return it. If you get it repaired, I’m pretty confident that they’ll do it right and you will be happy with the machine going forward. If you call back to register a complaint, perhaps they’ll give you a merchandise credit you can use for coffee orders. i believe there is a design fault on these milk dispensers. we have had 7 milk dispensers in 15 months, we followed their instructions to the letter for cleaning after each coffee made - except we do it twice, and we empty the dispenser each evening and wash and clean with a small brush to ensure its clean each evening, not advised by nespresso but we prefer to ensure clean and fresh each day. nespresso do not agree there is a problem with the dispensers even though there are several reviews which show there are problems. my machine was over £400.00 purchase, i expected better quality product and better customer service. the latest after saying it makes 7 - 8 cup of coffee a day was to advised me i should have bought a business machine as the latissimo pro is a domestic machine! We’ve been using two Latissima machines multiple times a day for years and never had a problem with either of the milk dispensers. What issue are you having exactly?